Busyness affects people of all ages, race, and at every socioeconomic level. Trying to juggle our agendas, we race from one appointment to another. We are busy. We have children to raise, meals to prepare, and bills to pay. From the moment the alarm clock sounds each morning until we collapse in bed at night, our minds race with schedules and expectations. Many of our conversations today center around busyness. We seem to judge each other by how much we can accomplish in a day’s time. 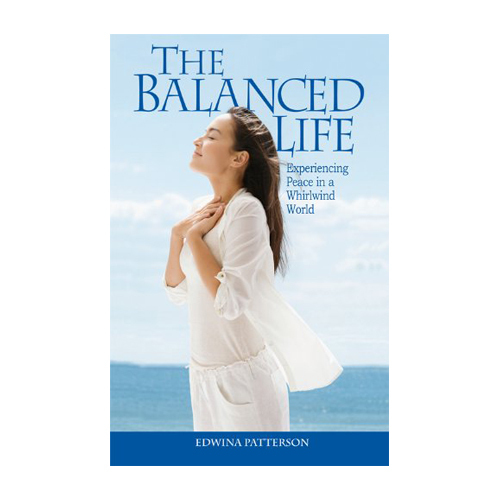 If… you believe your feelings of busyness are normal and you valiantly persevere in your hectic lifestyle without pausing to distinguish between priorities and distractions, then Edwina Patterson's book/bible study is for you. You’ll laugh and cry with Edwina Patterson as she becomes completely open and vulnerable while sharing from her heart. Drawing from lessons she’s learned and mistakes she’s made, Edwina challenges, encourages, and equips you to begin today to bring balance into your life.